The letter was signed by the European Public Health Alliance (EPHA), the Standing Committee of European Doctors (CPME), and Eurocare, a network of non-governmental organisations working on the prevention and reduction of alcohol abuse across Europe. The EU’s latest strategy to tackle alcohol abuse expired in 2013, after seven years, and was not replaced by a new one. While it did not impose specific legislation, the strategy provided guidance to EU member states in preventing harmful and hazardous drinking, by tackling areas such as drunk driving, alcohol consumption during pregnancy, and underage drinking. 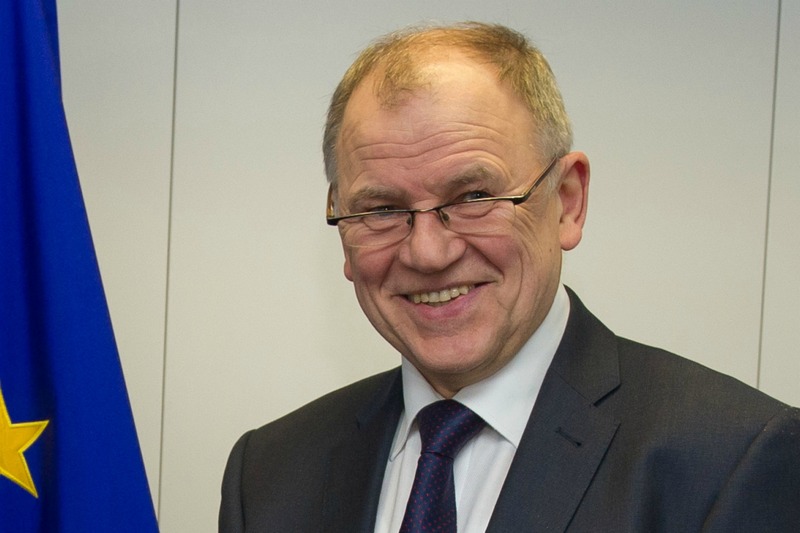 As EURACTIV reported, Andriukaitis gave a speech on 18 May at an EAHF meeting, indicating that the Commission was not planning to publish a new Alcohol Strategy, but instead wanted alcohol-related harm treated under a wider strategy on chronic diseases. “I would like to place action on the main causes of chronic diseases, including alcohol but also tobacco, nutrition and physical inactivity. It is less important for me what word we are using to define the paper setting out such a joint commitment. What matters is the results,” Andriukaitis said. Paul Skehan, Director General of SpiritsEurope, which represents the spirits and liquour industries, said in a statement that he believes that the dialogue at the EAHF is worth continuing as it is based on “real action on the ground”. “While we fully agree with the public health groups that alcohol-related harms must be addressed in a serious, comprehensive manner at EU and national levels, we do not share the NGOs’ opinion that the idea of reducing those harms as part of a wider plan addressing non-communicable is necessarily a bad thing,” Skehan said. “Without any details yet published by Commissioner Andriukaitis, it seems very premature to already dismiss such a strategy. We have constantly called for a more holistic approach to addressing alcohol harm,” Skehan continued. AB InBev, the largest brewer globally, said in a statement that tan independent evaluation of the EU Alcohol Strategy found that action and engagement of businesses, NGOs and other stakeholders in the EAHF has helped reduce alcohol-related harm. “The pledge by the European brewing sector to provide ingredient and nutrition information about their beers is the latest example of voluntary action bridging regulatory gaps, and we need a renewed political foundation for the Forum to allow such efforts to continue and accelerate even further,” AB InBev told EURACTIV. The Brewers of Europe, representing the beer sector in Europe, said it regrets the decision by the NGOs, saying that leaving the Forum hopefully is a ‘temporary solution’ and that the Commission will be able to convince the NGOs of the EU’s ongoing commitment to tackling alcohol misuse and reducing the harm that this causes. Launched in 2006, the EU’s Alcohol Strategy is designed to help national governments and other stakeholders coordinate their actions to reduce alcohol abuse. However, the strategy does not impose specific legislation on member states at this stage, relying instead on policy coordination and exchanges of best practices between countries. To do this, the strategy introduced an alcohol and health forum, launched in 2007, where member organisations - public and private - are invited to debate, compare approaches and take action to tackle alcohol-related harm. Harmful and hazardous alcohol consumption has a major impact on public health and also generates costs related to healthcare, health insurance, law enforcement and public order, and workplaces. Harmful alcohol consumption also has a negative impact on labour and productivity, something the EU wants to address by promoting workplace-based initiatives. Stakeholders such as business organisations and trade unions have a particular responsibility in this regard, the Commission believes. End 2015: Commission to publish report on how to include alcoholic drinks under EU labelling rules for food and drinks. It’s regrettable that NGOs and professional public health organisations have announced today their decision to withdraw from the European Alcohol and Health Forum, particularly as the Forum has been acknowledged as playing a positive role and being an important pillar of the strategy of the EU to support Member States in reducing alcohol related harm. Since 2007 SABMiller has been member of the Forum and made several foundational commitments ranging from rules on the way we market our brands to placing responsible drinking messages on our product labels and providing information on nutrition values. Brewers as a whole have made many more commitments through the Forum; lately that we will place ingredients’ and nutrition information on labels and on digital platforms. There is no simple solution to addressing alcohol-related harm; however, there are things that can make a difference: like making sure that information about alcohol beverages is accurate and balanced, enforcing laws against drinking and driving, underage drinking and disorderly conduct, and helping people who are most at risk. The multi-stakeholder approach of the EU strategy and the Forum has been a catalyst helping to bring together relevant actors to make measurable commitments on these issues. Indeed these commitments have often been joint initiatives of companies, NGOs, public health and other experts to tackle harmful and irresponsible drinking in the EU Member States. While we acknowledge the achievements of the Forum, we also believe its existence is still much needed: Harmful and irresponsible drinking is still a problem and the priority areas of the EU Alcohol Strategy are still a valid framework to address them. However, the decision of some NGOs to remove themselves from a body that is committed to tackling these issues will not help to reduce alcohol-related harm. We hope that they will reconsider their decision and come back to enhance joint action at a point in time in some form. Civil society and NGOs are crucial actors in tackling harmful and irresponsible drinking. We will continue to collaborate with them and Governments and play our role in it in the EU Member States and elsewhere.